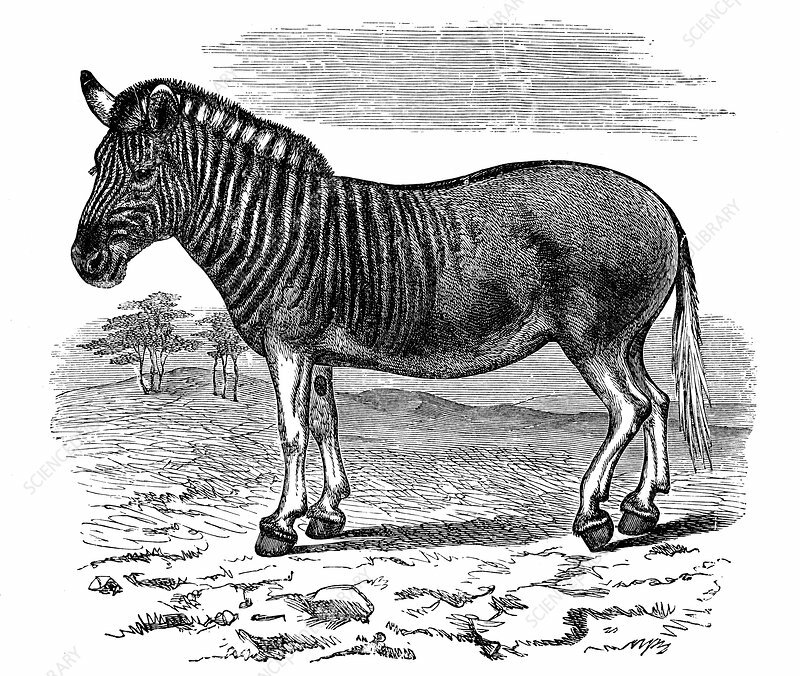 Engraving of a Quagga (Equus quagga), 1893. Extinct South African mammal of the Horse family. Published in London 1893.